Welcome back to school everyone! We’re currently recruiting volunteers and having leaders meetings – to get ready for an awesome year. 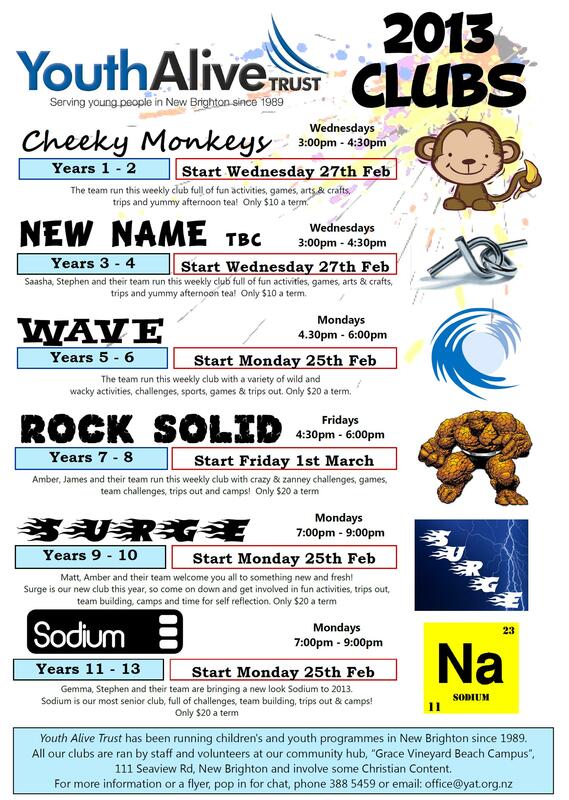 CLUBS will start on the week of 25th Feb – including new club for Year 9 & 10’s – SURGE on Monday Nights!